Warren Buffett, one of the world’s most successful investor with the net worth of $83 billion is famous for his sound investments. 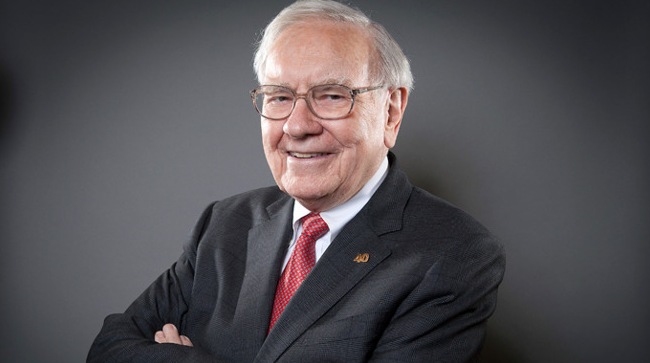 Warren Buffett recently has shown his particular interest over tech giant Apple. He bought 75 million shares in Apple at the start of the year, CNBC reported. I clearly like Apple. We buy them to hold. We bought about 5 percent of the company. I’d love to own 100 percent of it. Warren Buffett believes apple earns almost twice as much as a second most profitable company in the United States. When I buy Apple, I know that Apple is going to repurchase a lot of shares,” he said. “We own about 5 percent. But I know I don’t have to do a thing and probably in a couple of years we’ll own 6 percent without laying out another dollar. Well, I love the idea of having 5 percent go to 6 percent. The cheaper the stock is the more they will get for their money. There is no reason at all for me to encourage other people to buy Apple. Warren Buffett statement comes at a time when many analysts predicted that Apple would be affected by the drop in iPhone sales. This did not stop warren Buffett from buying shares in Apple. Nobody buys a farm based on whether they think it’s going to rain next year. They buy it because they think it’s a good investment over 10 or 20 years.